There are a lot of monitor choices out there and even more specs and features to be aware of, this post is meant to help you evaluate which monitor best suits your preferences and situation. If you’re looking to learn what to look out for with gaming monitors, then read on. There are a lot of specs to consider when evaluating a gaming monitor. Be sure to figure out what’s the most important to you because, while we do recommend a best gaming monitor, no current gaming monitor is great in all aspects. 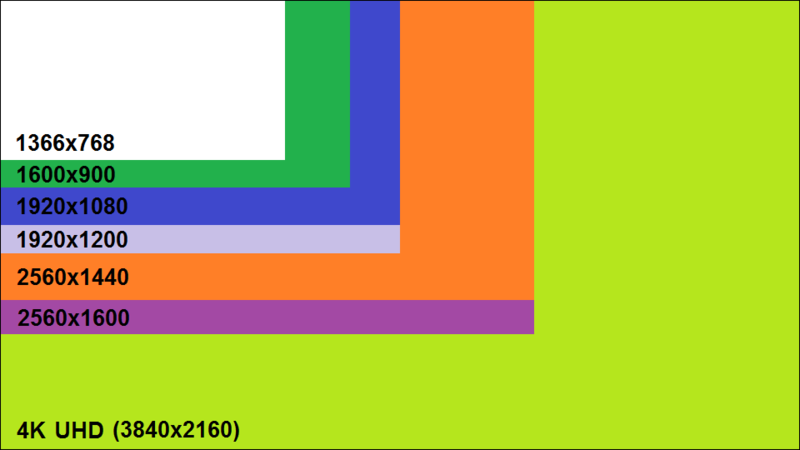 Resolution is the measure of the amount of pixels in length and height that a display uses. The higher the resolution the more pixels a display has. A monitor with a lot of pixels for it’s size will produce a sharper more seamless display, this is called pixel density. Something to consider is that higher resolutions require more graphical power to back it. For that reason, you want to pick a monitor that has a resolution your gaming computer can power. Refresh rate represents how fast your monitor can refresh the screen. A higher refresh rate allows for smoother, more accurate gameplay. It doesn’t matter if your PC can run CS:GO at 300 FPS if your monitor doesn’t refresh at 300Hz for example. Like resolution, you’re going to need a high power PC or lower settings to drive a higher FPS in-game to take advantage of a higher refresh rate. Taking advantage of a higher refresh rate is worth it; games look significantly smoother with less blurring, and you get a much more responsive gaming experience. It’s not completely clear what the upper limit of how fast can human eyes see. From what we can summarize, human eyes can likely enjoy refresh rates from 200Hz up to 300Hz. There are diminishing returns once you get near 200Hz. It does take some time to get used to higher refresh rates, but once people go faster, they can’t go back. Here are some in-depth articles about fps, refresh rate and human processing of information. Adaptive sync is a relatively new technology that’s designed to prevent screen tearing in games. Screen tearing happens when your monitor’s refresh rate and the frame rate of your game are out of sync. Traditional monitors have a static refresh rate, typically 60Hz, so when a game’s FPS doesn’t always stay perfectly at 60 fps, images aren’t refreshed at the same time as when the monitor refreshes, causing tears. Monitors that have any form of adaptive sync will make sure that their refresh rates match the framerate of the game, ensuring no screen tearing. Unfortunately, both major video card manufacturers have proprietary adaptive sync technology that don’t work with each other, you’re going to have to pick a monitor that works with your video card. Overall, adaptive sync is a must have feature in a gaming a monitor. Nvidia video cards feature Gsync, which only works with Gsync enabled monitors. Gsync will sync frames and refresh rates across the entire range of the monitor. Gsync works through only DisplayPort and works in both windowed and windowless mode. If a game goes beyond the monitor’s refresh rate range, then the monitors will by default to using Vsync or Fast Sync. Vsync is an old screen tear technology which basically makes your video card slow down to the max refresh rate of your monitor. Out of all sync technologies, Vsync causes the largest amount of input lag, which makes it okay for cinematic games but unappealing for twitchy games. 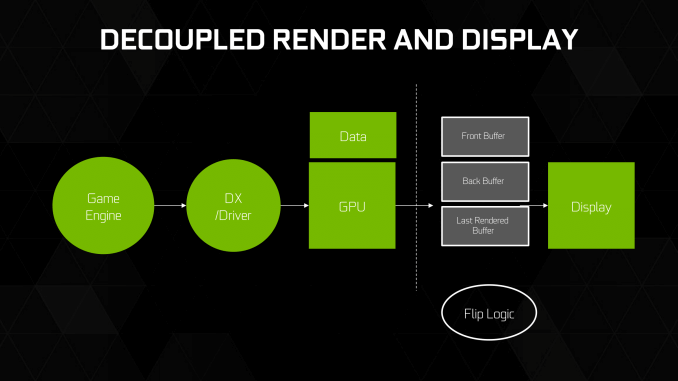 Fast Sync is an Nvidia exclusive technology that decouples the monitor refresh rate and game rendering. Instead of the video card waiting for the monitor, or the monitor and video card matching fps and refresh rate, Fast Sync creates a hardware buffer with rendered frames, the monitor grabs the latest one when it’s ready. Fast Sync produces a tear free screen with minimal added input lag, less than Gsync, but it only works if your video card can render an FPS faster than your monitor’s refresh rate. AMD video cards feature Freesync, which only works with Freesync enabled monitors. Freesync is limited to a range of refresh rates, this usually isn’t a problem, as long as it covers the normal range of fps that most games run, 30Hz to 144Hz. Outside of the range, Freesync will default into Vsync, AMD currently doesn’t have a Fast Sync equivalent. FreeSync works through HDMI and DisplayPort connections. Until recently, Freesync only worked in fullscreen mode, but with recent updates, it’s on par with Gsync, working in borderless window and windowed mode. You should note that adaptive sync does add a bit of input lag when turned on, making it less than ideal for competitive gamers where split second reaction times matter. Otherwise, adaptive sync gives gamers the best picture they can get free from screen tearing. Measured in milliseconds, response time is the measurement of how quickly the pixels in your monitor can change from either black to white or from gray to another gray (GtG). The lower this number the better, but don’t trust marketing stated response times, it’s really important to look at reviews to get true performance response times. To clarify response time isn’t responsible for input lag or latency, it’s a measure of how fast your monitor can keep up with colour changes that come from the video card. A high response time will result in blurrier motion with ghosting. Most monitors come with a feature called Overdrive, which drives a higher voltage to speed up pixel transitions in an attempt to lower motion blur, it’s usually an option in the monitor’s on screen display to turn on/off and how intense of an overdrive. Overly aggressive overdrive causes another display quirk called coronas, which is basically inverse ghosting. Blur busters has the most in-depth information on response time and overdrive. Measured in milliseconds, input lag is caused by the required processing time of the monitor to interpret the signal coming from your video card. Monitors that have to scale resolutions or add post processing to the image will often have much higher input lag. It’s input lag in combination with response time that causes a slow feeling monitor. Luckily most gaming monitors are good with input lag, TVs are another topic altogether. Unfortunately, monitor manufacturers don’t advertise input delay at all, so again, you’ll have to find independent reviews on the matter,TFT Central does a great job reviewing lag in displays. There are 3 predominant panel types in the market today: IPS, TN and VA, they all come with pros and cons. The two major advantages of IPS panels are colour reproduction and viewing angles. You can look at IPS monitors from any angle without colour distortion while getting great colour reproduction. 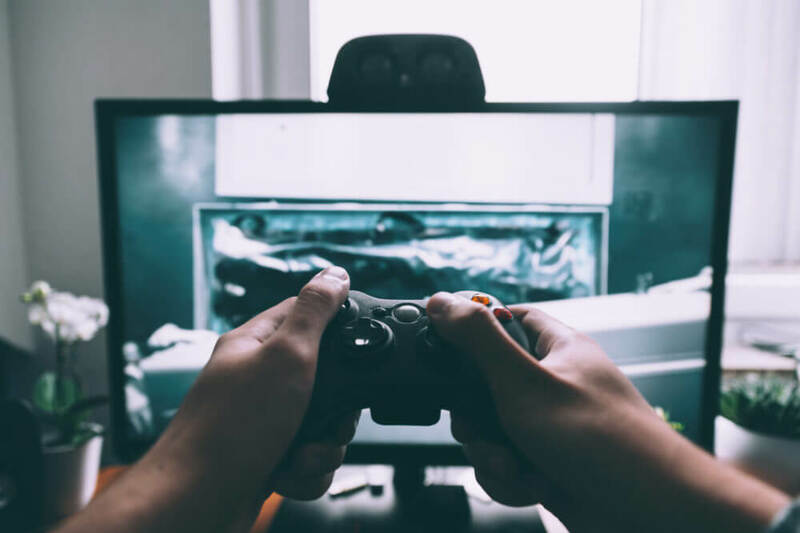 These advantages make it ideal for content producers, while also providing a great picture for gamers. The primary downside for IPS monitors is that they refresh and respond slower than other panel types. Modern IPS monitors have almost caught up to TN with refresh rate, making the IPS monitors that are designed for gaming a good choice. The other downside we’ve been seeing with IPS monitors is backlight bleed and IPS glow, this is what is visible in a dark room with a dark environment on screen. There seems to be a quality control issue with high speed IPS panels. 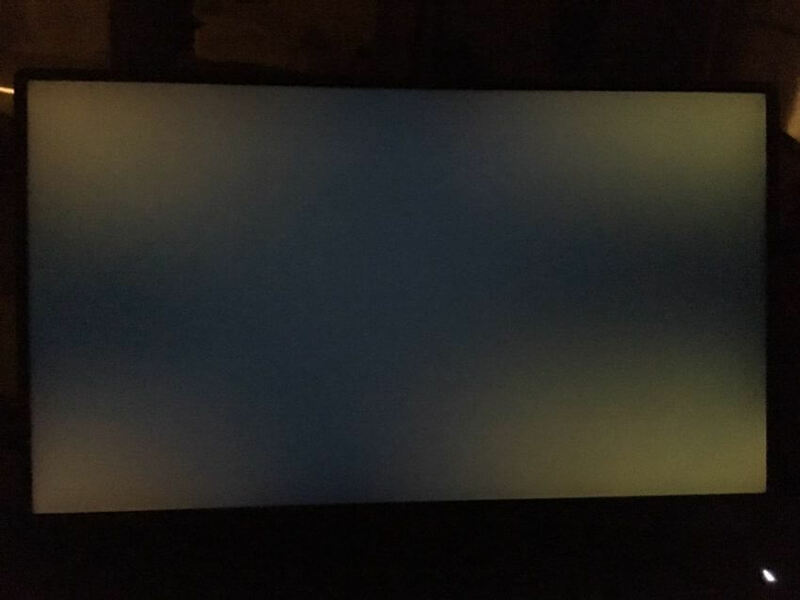 Backlight bleeding and IPS glow are common across monitors. Not all IPS panels will have it, some people will get lucky and get a glow free monitor while others will get plagued with huge bleed and glow, it’s a lottery. IPS monitors in general come at a price premium compared to TN and VA monitors. The most affordable and common panel type is also the fastest, making them really good for gaming. TN panels will be able to deliver the most responsive image with the least amount of image blurring. The downside is that TN panels can only be viewed from a straight ahead position, as any tilt to the side will cause colour shifting. Colour reproduction ranges from good, but not quite as good as IPS, to downright bad. A TN panel is never going to have the same contrast ratios and colour reproduction that IPS and VA can achieve but they’ve been improving over time, they still look great. VA panels sit somewhere between IPS and TN Panels in terms of colour reproduction, response times, viewing angle, and contrast. They’re a bit of a happy medium for users looking to do a multitude of things with their monitor. VA panels actually outperform IPS panels in contrast ratio, providing the deepest blacks available in any panel. Colour reproduction doesn’t measure up to IPS colour output but has a wider gamut than TN panels are capable of. There have recently been 120 – 144Hz VA panels coming out for gamers, but the major downside with VA panels is the slow response time, which means a VA panel will have some form of motion blurring and ghosting. Monitor size and shape are completely up to personal preference, but there are a couple of considerations before you go and shell out for the biggest thing you can find. The depth of your desk and how far away you prefer to sit from your screen will determine what size of a monitor you should get. If you prefer to sit closer to the screen then you’ll want to get a monitor with higher pixel density, which you calculate by taking diagonal resolution divided by diagonal size in inches. Healthy Computing suggests that the ideal distance for a monitor should be about an arm’s length away. A good monitor stand allows you to position your monitor at the ideal ergonomic height; your eyes should line up with the top of your screen to prevent tilting your head upward to look at the screen. You want thin bezels if you want to use two monitors side by side and just to provide the least amount of distraction from the picture. Gaming monitors should connect through DisplayPort because it allows for higher resolutions and refresh rates. DVI-D also allows for high refresh rates and resolutions. Having an HDMI option is useful if you have a secondary input source like a game console that you want to hook to the monitor. Lightboost or Ultra Low Motion Blur is a technology created by nVidia to eliminate motion blur. The technology introduces a strobe backlight to completely eliminate motion blur. Some people are huge fans of it, calling the motion quality as good as a CRT. ULMB comes with a few trade offs; it sacrifices brightness, washes out colour and caps refresh rate to 120hz to achieve the effect, you also cannot use adaptive sync with ULMB. Luckily, if the monitor features ULMB it’s an optional setting. Some monitors have similar strobe backlighting calling it something other than ULMB. High Dynamic Range is a big factor in televisions and is becoming important in gaming monitors. 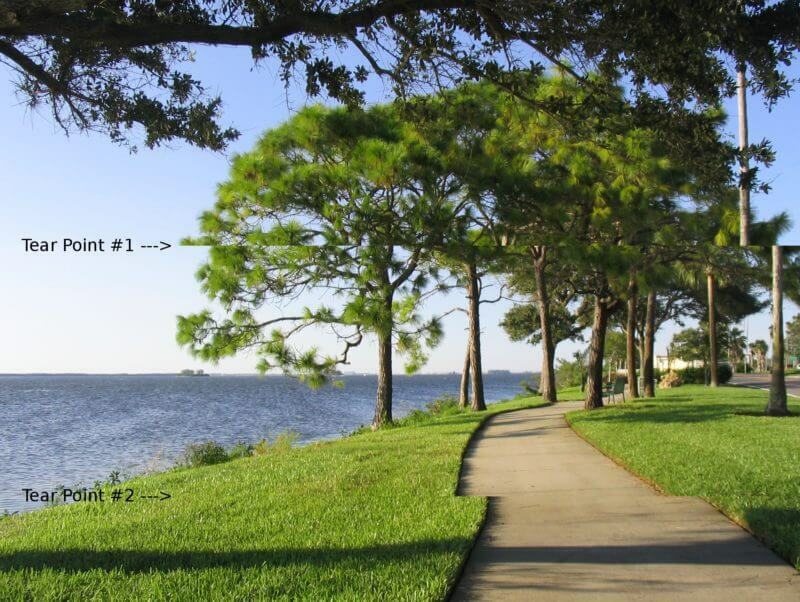 Displays with HDR are able to display a greater difference between highlights and shadows in an image. HDR monitors produces darker visible blacks and less washed out shadows. Measured in contrast ratio, TN monitors are capable of producing 1:1000 contrast ratios while VA panels can produce 1:2000-5000. The human eye can see a range of up to 1:10,000,000. HDR displays output a much brighter picture (500+ nits) compared to a non HDR display (100 nuts) to achieve the required contrast to produce an HDR picture. Monitors that are capable of HDR will product a picture and colours that are more resemble real life colours. It’s definitely a technology to be looking out for.